This species is about 20 cm (8") heigh, lacks nearly all chlorophyll and is unable to assimilate. It is brown to huning-yellow plant. 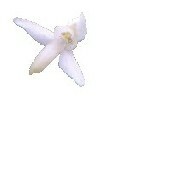 The flowers are large and have very special shape. There about 20 of them in one stem. 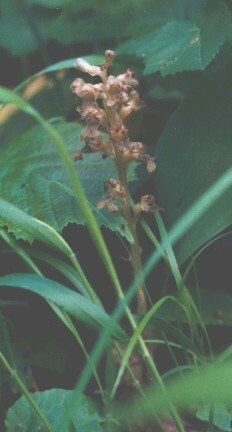 The plant has few scale-shaped leaves around the stem. The plant flowers from May to June, but plants with dry seed-bods can be found in time of the year. The rhizome of this species, as most of its common names (Bird´s-nest orchid in English, Finnish name mens nest-root...) and both parts of scientific name (neottia and nidus-avis both mean birds nest in lathin and in ancient Greek) tells, like a birds nest, short with thick roots. In the life of the rhizome only one inflorescense arises to the ground, but usally the tips of the leaves remain liwe and after some years they have formed new plants that are ready to flower. The species flowers supricingly often and large colonies usually flower every year. This species grows in southern Finland. It is not too rare in southern grove-areas and it is common in Ahvenanmaa. The northernmost place where it grows is in Linnansaari in Savonlinna. 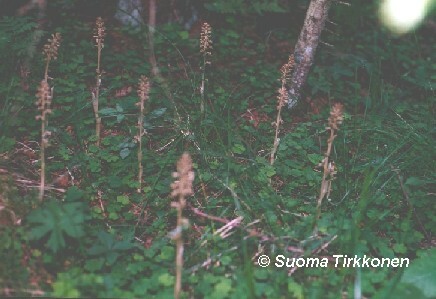 The plant is protected by law in whole Finland excluding Ahvenanmaa. White form of this spesi also exists. It is called N. n. var. pallida. I can´t say if it is found from Finland.